Lime Tree Kids was formed by Shelley Mason in 2011 to bring to parents a hand-picked, exclusive collection of tried-and-tested toys and products for kids and mums, that all had real meaning behind their use. Not just big, shiny and LOUD toys! 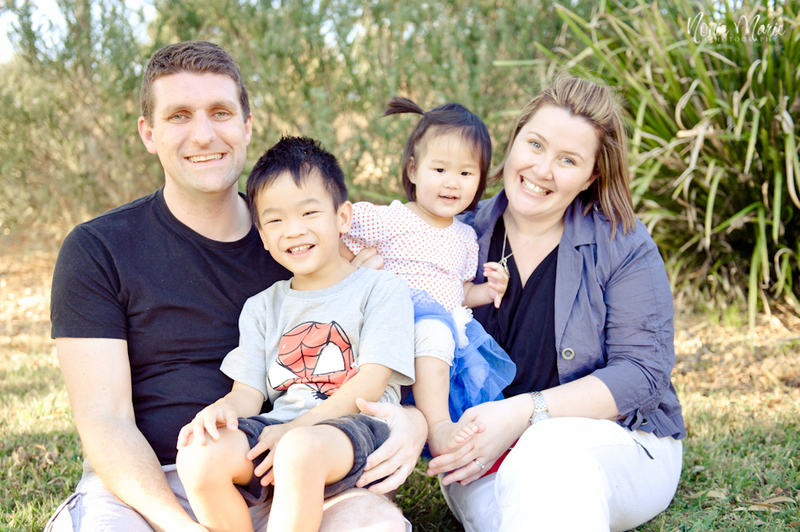 In 2007, when Shelley travelled with her husband, Dave to bring home their son, Sam from Taiwan, she discovered he really needed time spent learning to be loved. He had a series of very special needs that required him to slowly learn to trust and develop relationships along with severe hyperactivity and hyper-arousal. These special needs made even the simplest playtime a struggle and bedtime a nightmare ! Shelley embarked on a journey of discovery, finding toys and items that would enhance this experience of self esteem, laughter and bonding with her son. As a keen follower of attachment-style parenting, she believes that play is THE most important thing for you and your child to experience together. Through child-led play comes learning, laughter, eye contact, touch and development of a relationship / bond between each other that allows the child to grow in all areas of development..
"I believe every child deserves the experience of their parents' time and energy. My son required more time and purposeful play therapy than others because of his circumstances, however, I believe ALL children want and need quality time spent forming relationships with their loved ones. Even 10 minutes a day involved with one-on-one play provides that contact with your child that lets them know they are loved and worthy! That's why I created Lime Tree Kids, as an easy way for busy parents to find items that they can use every day to connect with their child / children". Lime Tree Kids has evolved since its beginning in February 2011 into a carefully chosen, exclusive collection of Unique , Stylish and Fun items. Each item has been handpicked because of its usefulness, creativity, developmental & emotional encouragement and overall fun – ness !! Our toys and products are for children with special needs and those whose needs are special! We love to include multicultural toys & nurturing products for mums as well and are constantly and actively seeking out the very best there is to bring to you. Our goal here at Lime Tree Kids is to offer parents and their children the best products that are of exceptional quality, encourage positive interaction and bonding between you and your little ones and stimulate their senses and yours too. We want to make parenting easier for you by providing options of outstanding quality and "a little different"
something to add joy, fun and laughter to your life as a parent. We are also strong advocates for a healthy, natural and nourishing diet for children, especially those with behavioural or special needs such as ADHD, anxiety, sensory issues and ASD. At the same time, having lived it ourselves, we DO know how hard this is though and have resourced some helpful books and recipes as well as tools to help you on this path. We have seen such amazing changes in our son's behaviour through diet that we love to share the easy ways we have found of making this a lifestyle mostly through our blog and Facebook page. We, at Lime Tree Kids, believe that everything starts with play and through play, many delightful things are discovered about your child and your own self. Providing our children with quality time, toys, products and meals, offers them the best start available, thus enhancing their emotional development, creativity and individuality. Most importantly, as eco-conscious and budget-savvy parents ourselves, we DO NOT believe that quality means EXPENSIVE! We know you will love our items as much as we do, so please don’t forget to join our mailing list (CLICK HERE) and be sure to keep in touch on our Facebook Page www.facebook.com.au/limetreekids where we share specials, discounts, new products and have an engaged community of mums and dads sharing advice and helpful parenting information. We're delighted and grateful to have a 85,000+ strong community on this page that we have turned into a network of parents helping each other and doing "life" together! Look forward to seeing you there too!